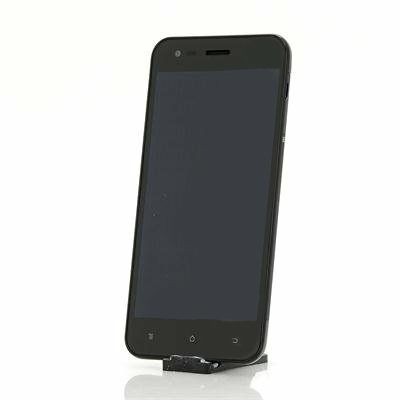 Successfully Added Phicomm X100W 4.7 Inch Phone - Snapdragon 1.2GHz MSM8225Q Quad Core, Android 4.1 OS, 1GB RAM, 8GB Internal Memory to your Shopping Cart. Phicomm X100 is a high speed 1.2GHz Quad Core Phone with 8GB of memory a 4.7 inch HD screen all front and rear cameras that's packed into a slim stylish case. 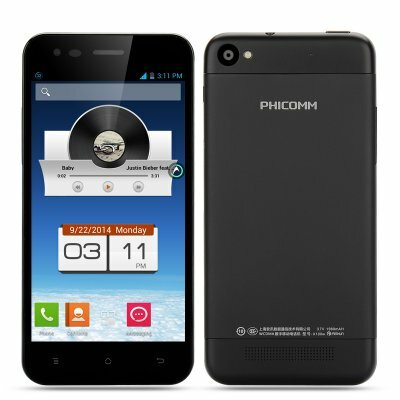 The Phicomm X100 is equipped with Android's 4.1 operating system and boasts a 1.2GHz quad-core processor by Qualcomm. This Snapdragon MSM8225Q processor offers a strong performance and the high speed processing lets the phone handle multitasking comfortably. The 4.7 Inch HD screen is exceedingly sharp with a resolution of 1280 x 720 pixels so you have a thoroughly enjoyable gaming or videos experience and the IPS features allow for eider angled viewing without degrading the image quality. With Google Play store coming preinstalled you have access to the widest range of games and applications available, which can be stored on the 8GB of internal memory. This smartphone also comes with a 2 megapixel front-facing camera for taking selfies or chatting on Skype as well as an 8 megapixel rear camera for more professional looking shots. At a little under 8mm thick this stylish light weight phone is easy to slip in your pocket and won’t weigh you down. The single SIM slot supports 3G bandwidths to offer comprehensive network coverage.